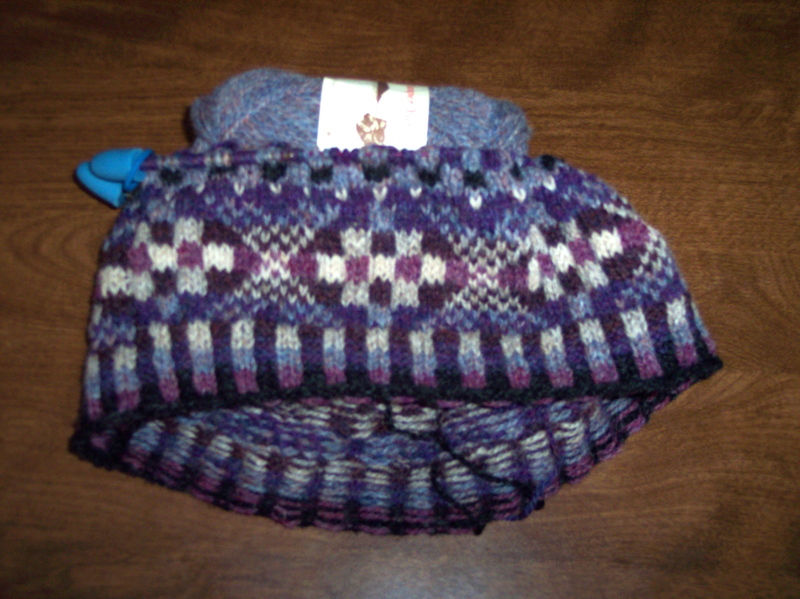 I promised you progress reports, and since a Fair Isle hat progresses rather quickly, the reports will come quickly. I managed to get quite a lot done while watching Little Dorrit on Masterpiece Classic on PBS last night. I just love Dickens, don’t you? Anyway, I digress. You can see the result. The picture just doesn’t do justice to the colors. 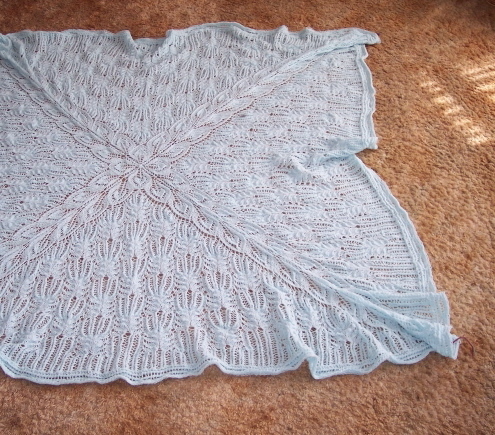 Because of the nature of Shetland yarn, the knitting tends to crumple up instead of lying smooth, hence the use of the wooly board to dress Shetland sweaters. The Fair Isle Workshop beanie I made from Jaggerspun Maine Line looked fabulous before I washed and dressed it, and, to be honest, washing and dressing it didn’t make a noticeable change in its appearance. Fair Isle knitted with Shetland yarn is similar to lace knitted in any yarn in this regard. The dressing is a very important step. 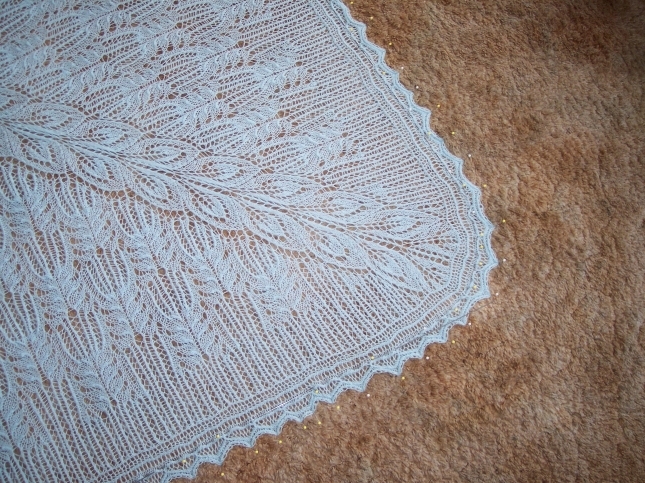 Dressing makes a far more dramatic effect in lace than it does in Fair Isle, but still, good blocking transforms a Fair Isle piece just the same. Yuck! What a horrible, horrible mess! This will never, ever lie flat, will it?